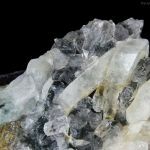 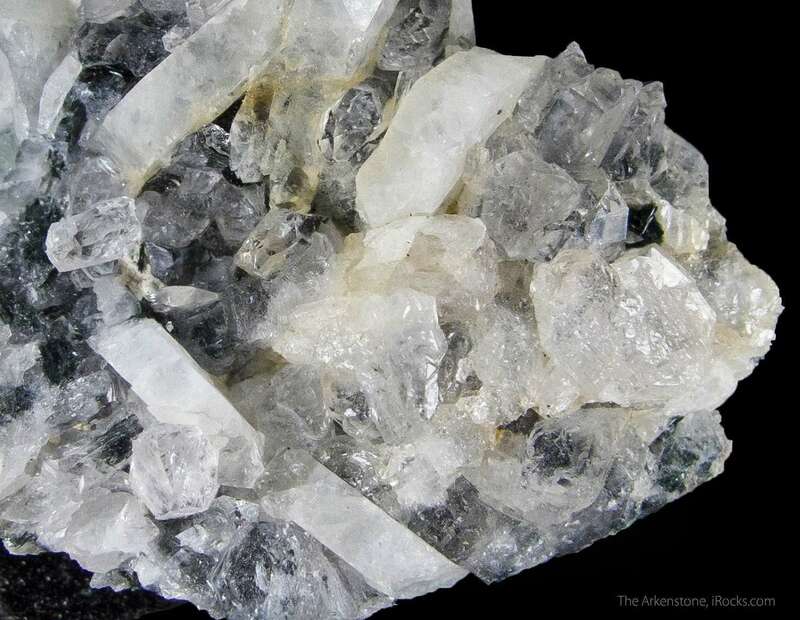 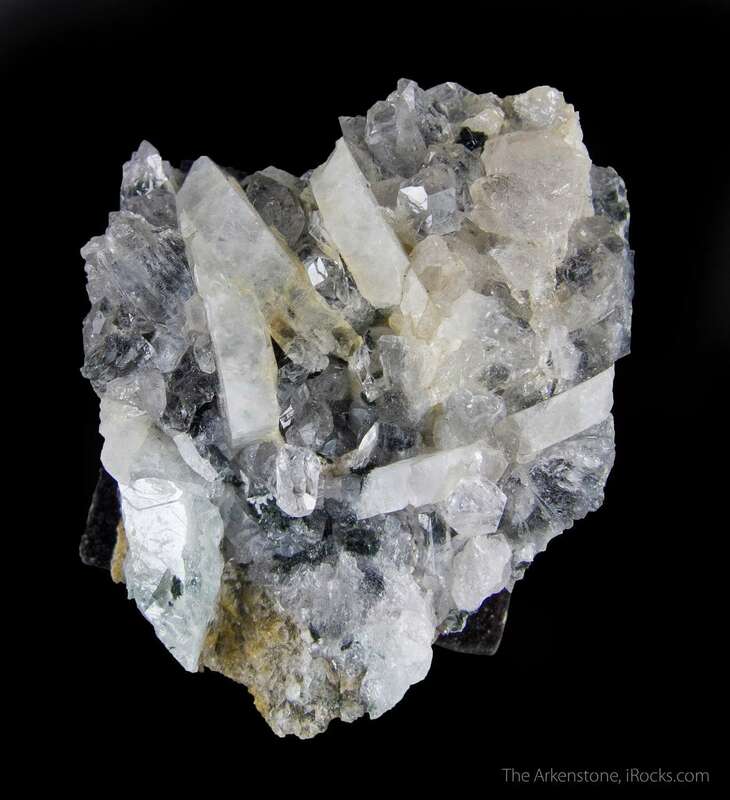 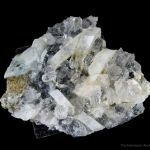 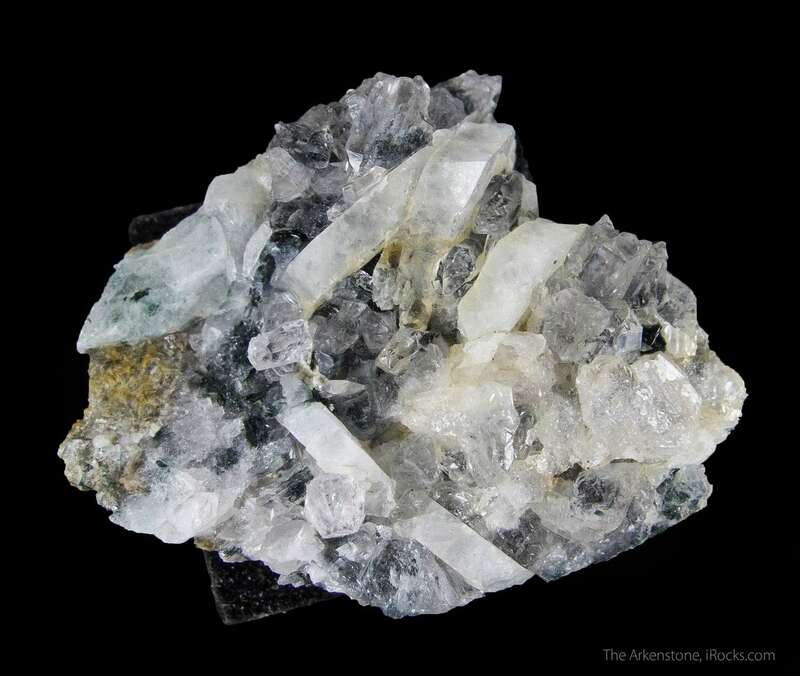 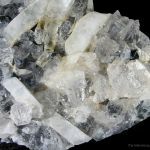 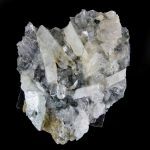 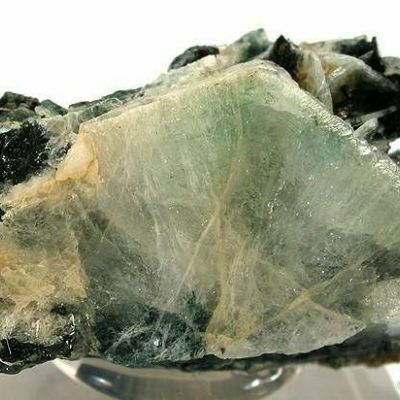 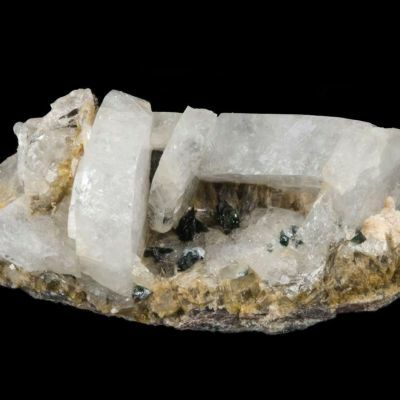 Thumbnail with several colorless to white, translucent to transparent, tabular, complete to partial crystals of bobdownsite to 1.0cm with excellent pearlescent to vitreous luster. 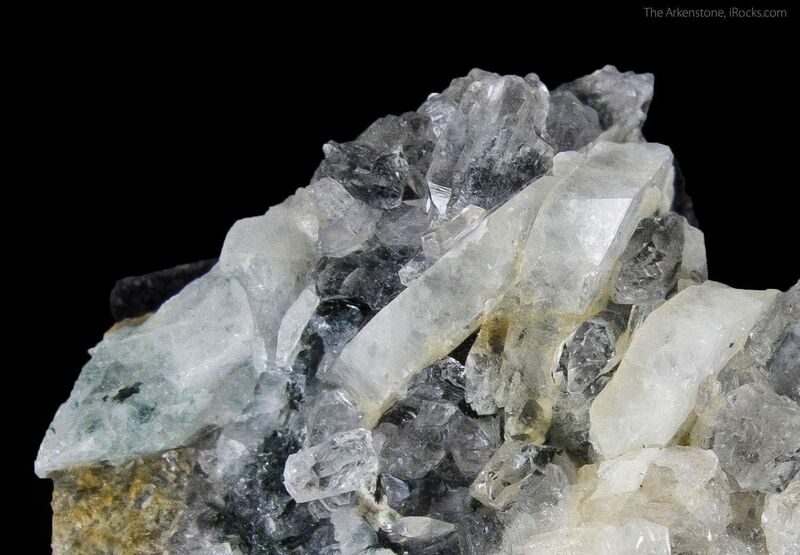 As a bonus, there are several dark, teal blue clusters of kulanite up to 1.5mm on the piece. 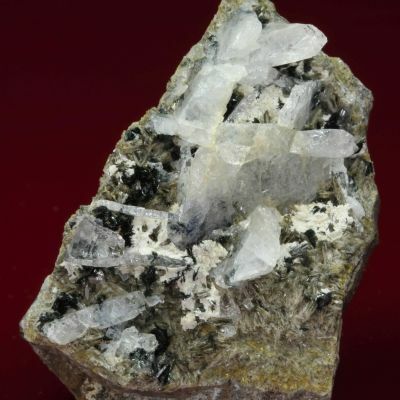 This is part of a lot of bobdownsite specimens found by Rod Tyson at a "private location" in 2005, subsequently characterized and approved in 2008 as a new species after first being sold as whitlockite.